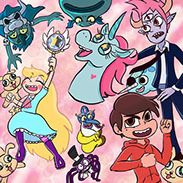 Much of the Fanart here is available as merchandise. Click to check them out on TeePublic! Cersei has it coming! My prediction for how Cersei will meet her end. 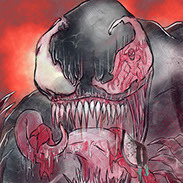 Looks like Spidey has seen better days... Venom and Carnage standoff! 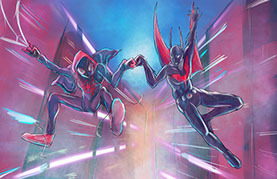 Miles Morales and Terry McGinnis epic brofist! Luigi's Mansion and Ghostbusters throwback! Zelda is joining the Bowsette craze! I present to you.. Ganda? "Hey Morty! 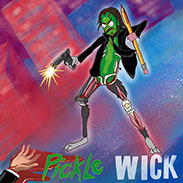 I turned Keanu Reeves into a pickle!" "Look here, Earth Turd. This night is really important to me. You mess that up, and you're gonna get the horn!" 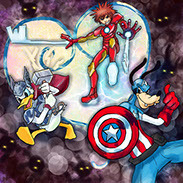 What we're all hoping for in Kingdom Hearts 3! "We're in Another Crossover, Morty!" 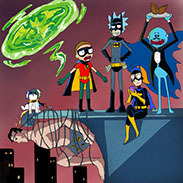 "Aww geez Rick... when I said I wanted to be Batman, this isn't exactly what I had in mind...!" 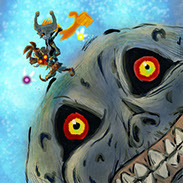 What if Midna decided to warp to Termina? Looks like she would have a blast! Legend of Zelda Ocarina of Time throwback! These are some characters you don't see much of. 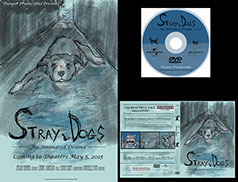 These pieces are part of a branding for a made up animated movie named Stray Dogs. There is a movie poster, DVD Case, and the Movie Disc design. 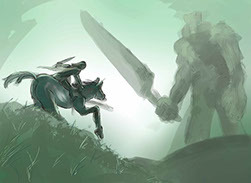 A quick digital painting I made as fan art for the video game Shadow of the Colossus. 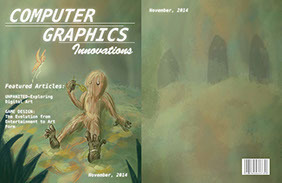 This is a fake magazine design I did for school. I painted the illustrations using Photoshop. I made this painting as an ad for a fake magazine. It's a parody of the popular mobile game series Angry Birds. This is a painting I made for a fake magazine. 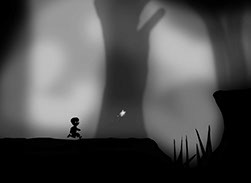 It is based on the video game Limbo, and although it looks legit, I made this painting from scratch. I quickly painted this landscape using Photoshop based off of a picture a friend of mine took. 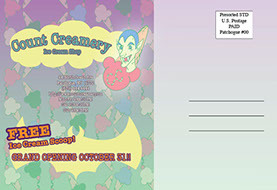 This is the back of a postcard for a monster themed ice cream shop I made up called Count Creamery. 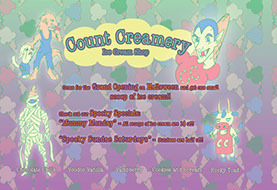 This is the front of a postcard for a monster themed ice cream shop I made up called Count Creamery. I made this silly short comic for fun. Enjoy! 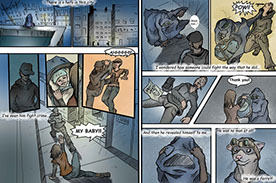 This was an extra credit assignment for my History of Graphic Design course. It is a poster designed to encourage students to enroll in the class. 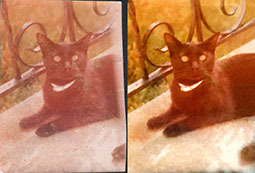 I used Photoshop tools to restore this photo of my dad's old cat Malicious. This is a before and after comparison. 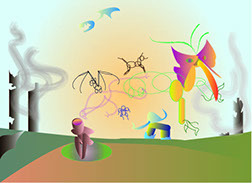 This was my first attempt at using Indesign and the Live Paint tool in Illustrator. 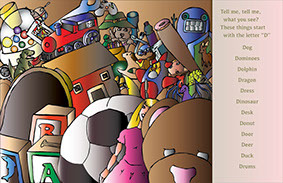 I made a fictional page for a children's storybook. Have fun! 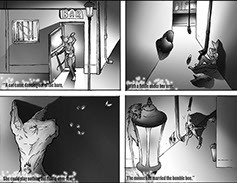 I made a four panel, grayscale comic of my own interpretation of this riddle. 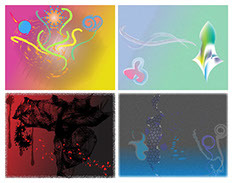 Playing around with Illustrator tools I made four art boards representing four different feelings. An early practice piece using Illustrator.